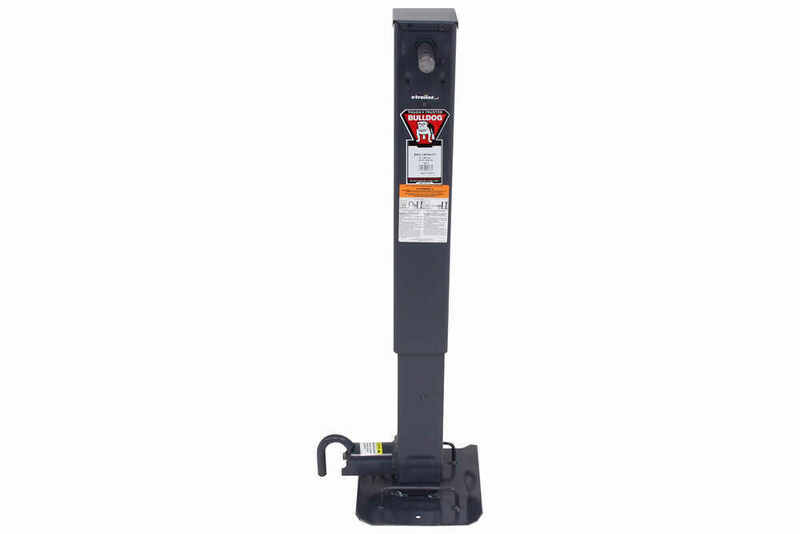 Heavy-duty, square, drop leg jack has a front-facing plunger pin, an easy-to-access gearbox and 28-5/8" retracted height. Perfect for agricultural, construction, livestock or heavy-duty utility applications. Crank sold separately. 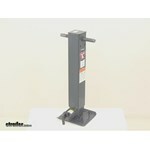 Call 800-298-8924 to order Bulldog camper jack part number BD182415 or order online at etrailer.com. Free expert support on all Bulldog products. 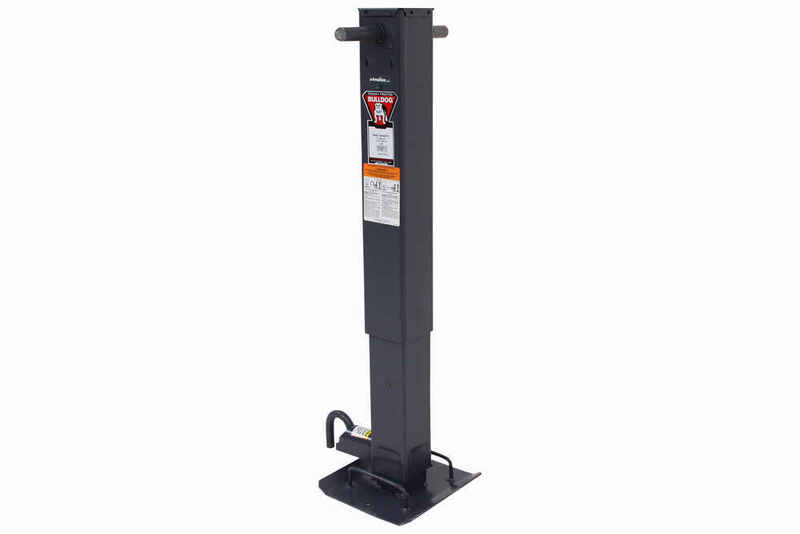 Guaranteed Lowest Price and Fastest Shipping for Bulldog Square Jack - Drop Leg w/ Non-Spring Return - Sidewind - 26" Lift - 10,000 lbs. Camper Jack reviews from real customers. 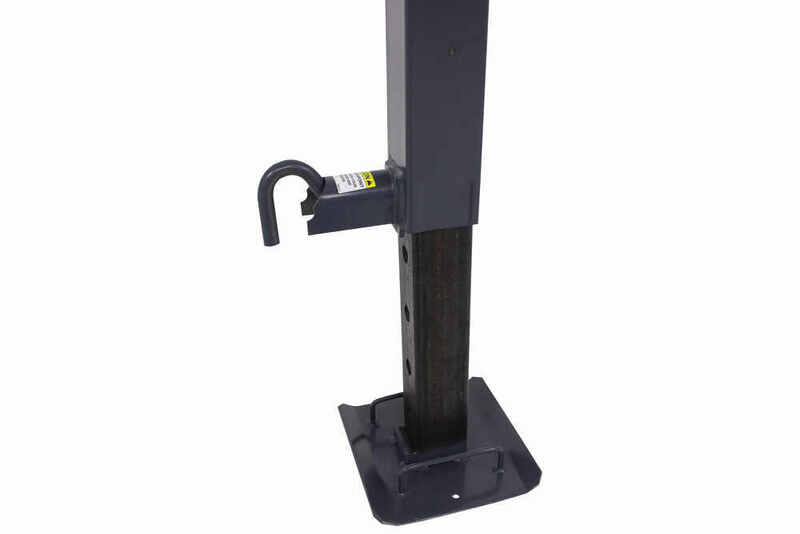 Heavy-duty, square, drop leg jack has a front-facing plunger pin, an easy-to-access gearbox and 28-5/8" retracted height. Perfect for agricultural, construction, livestock or heavy-duty utility applications. Crank sold separately. 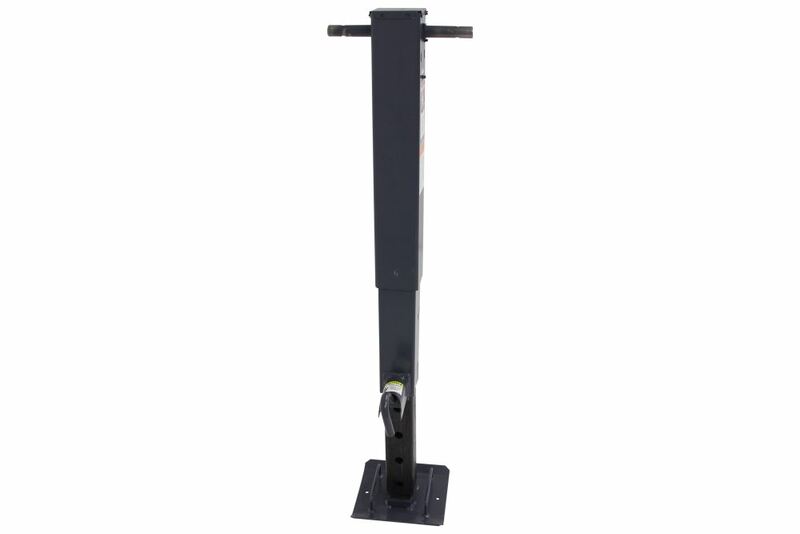 Heavy-duty, square, drop-leg jack has a front-facing plunger pin, an easy-to-access gearbox and 28-1/2" retracted height. Perfect for agricultural, construction, livestock or heavy-duty utility applications. Crank sold separately. 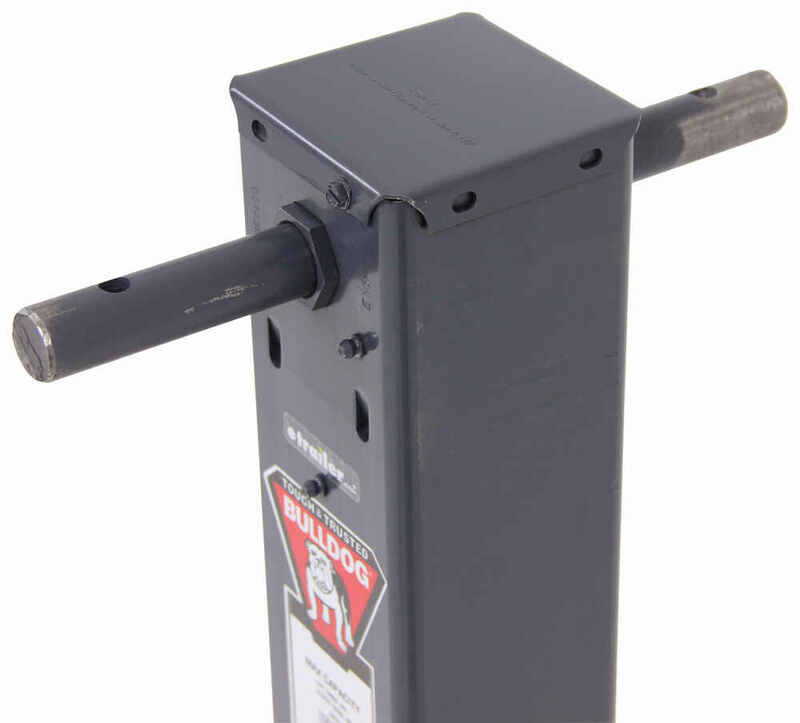 Today we're going to be taking a look at a Bulldog Square Jack with the included drop leg. This jack is a heavy duty jack. It's made from 7 gauge alloy steel. It's going to offer superior strength and durability. The outer tube is a square design so it's going to give us a measurement of four inches by four inches. The jack is going to feature a lift capacity of 10,000 pounds and a support capacity of 12,000 pounds. It's going to feature a painted inner tube and outer tubes. Those are going to be weather resistant. It's going to be a great paint finish. The gear box is going to be easily accessible. There's going to be a screw right here and a screw right here to pop this lid off. That's going to give you access to the gear box. It's also going to include your grease zerk fitting. Those are built in. It allows for easy maintenance. That way you can attach your grease gun, pump the grease in and lubricate those internal components. The unit also features a drop leg. I do want to point out that the drop leg is with non-spring return. The drop leg is designed to increase overall extension for maximum adjustability. The non-spring return means that you will need to physically lift the jack at the foot to return to the up position. When you're ready to extend it, you've got the nice, large pull pin right there. That's going to be positioned to the front for easy access. You can pull that. That is spring loaded. You can rotate that to the side, either side. It's got a little indention there, so it will hold itself in that spot. Then that drop leg, I want to lift this up so you can see that drop leg. That's going to be a five hole design. The included drop leg, that's going to increase overall extension for maximum adjustability. Five hole design, non-spring return. It does have the handles right here, located on each side. That's going to help with lifting the jack at the foot back to the up position. Whenever you find whatever location you want to engage, you rotate this back up. That pin will release into the hole and hold it in that particular setting. This is a direct weld design, so it's a weld on installation. 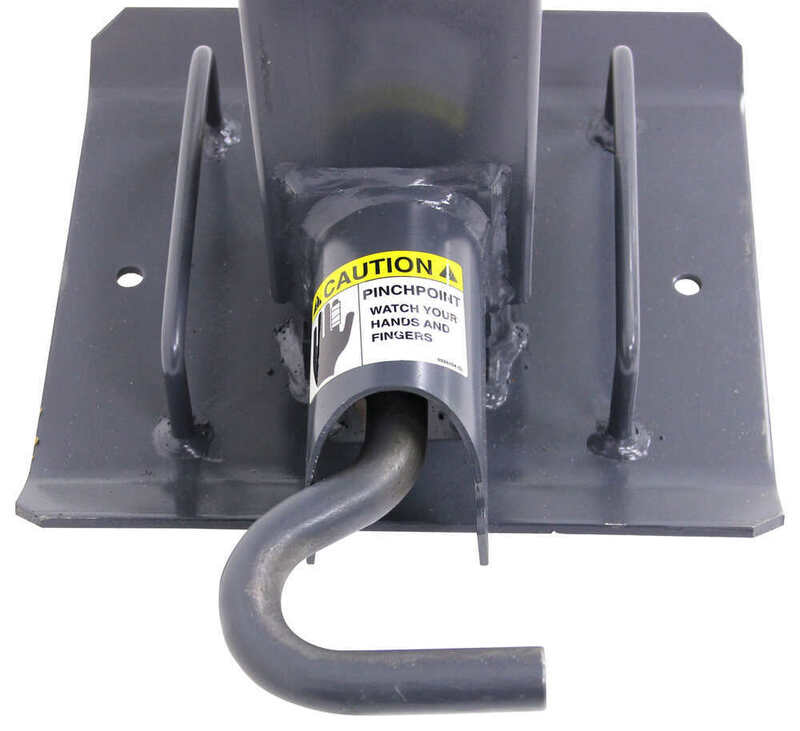 This jack can be paired with part BD183416 or 183901 for tandem applications. Those items are sold separately. Also sold separately is going to be the side wind crank. It does come with the foot plate. The foot plate is welded onto the bottom of the drop leg, so the jack is going to composed of your outer tube. Then you're going to have your inner tube, which if I had a handle attached to this, that would rotate the drive pins right here and then that would extend or lower, raise or lower, the actual jack. I'm trying to give you an idea. You have your outer tube, you have your inner tube and you have your drop leg. I do want to go ahead and give you a few measurements. We're going to start off with the foot plate. Again, the foot plate is included. Measuring this direction, we're looking at about 9 3/4 of an inch. This direction, about 10 inches, so it's a nice large size. That's really going to help spread out the applied weight. Even on soft surfaces, that's going to help prevent sinking and overall it's going to increase stability. When it comes to measuring the travel, what I like to do is measure from the bottom of the foot plate to the top of the jack. Right now, it's in the fully retracted position and that measurement is going to measure 28 and 5/8 of an inch. From the bottom of the foot plate to this point here. I did that measurement with the jack fully extended and that increased to 41 and 1/8 of an inch, so the jack is going to offer a lift or travel of 12 1/2 inches. The drop leg is going to provide an additional 13 1/2 inches. Since that's a five hole design, that can be adjusted in increments of about 3 and 3/8 of an inch. The 13 1/2 inch measurement can be adjusted. The drive pin, this is going to give us a diameter of 1 inch. There's going to be a mount hole here and a mount hole here. 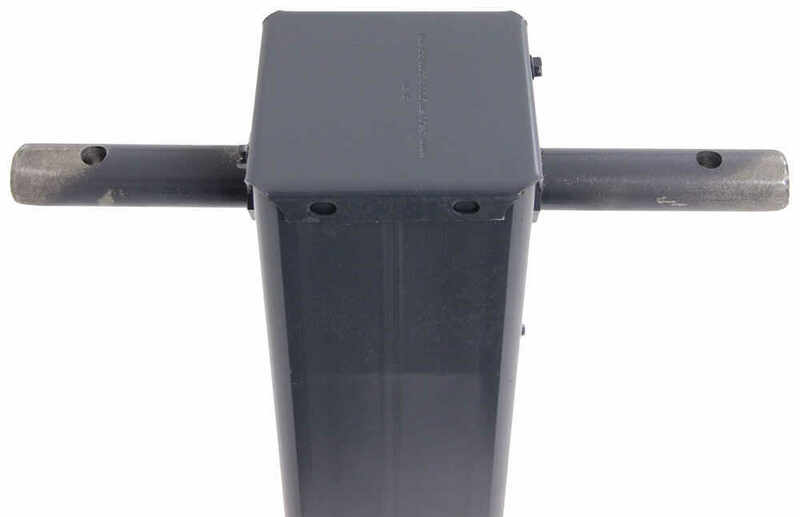 Those holes are designed to accept a 3/8 inch diameter bolt or pin. That's going to do it for today's look at the Bulldog Square Jack with a drop leg. Again, this is going to have a lift capacity of 10,000 pounds and a support capacity of 12,000 pounds. 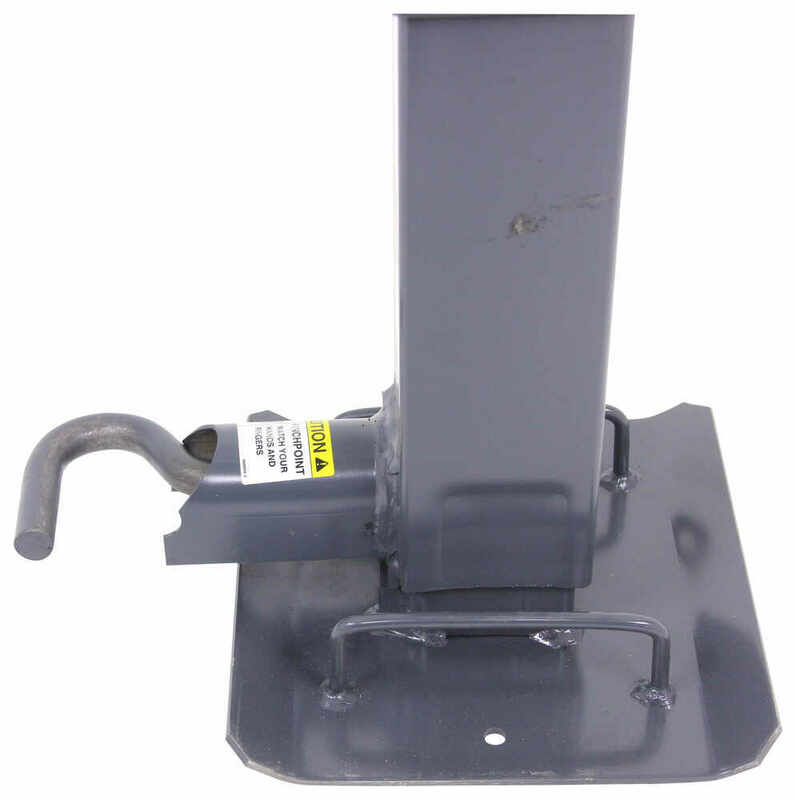 Order: RelevanceNewestRating - High to LowRating - Low to High Heavy-duty, square, drop leg jack has a front-facing plunger pin, an easy-to-access gearbox and 28-5/8" retracted height. Perfect for agricultural, construction, livestock or heavy-duty utility applications. Crank sold separately. 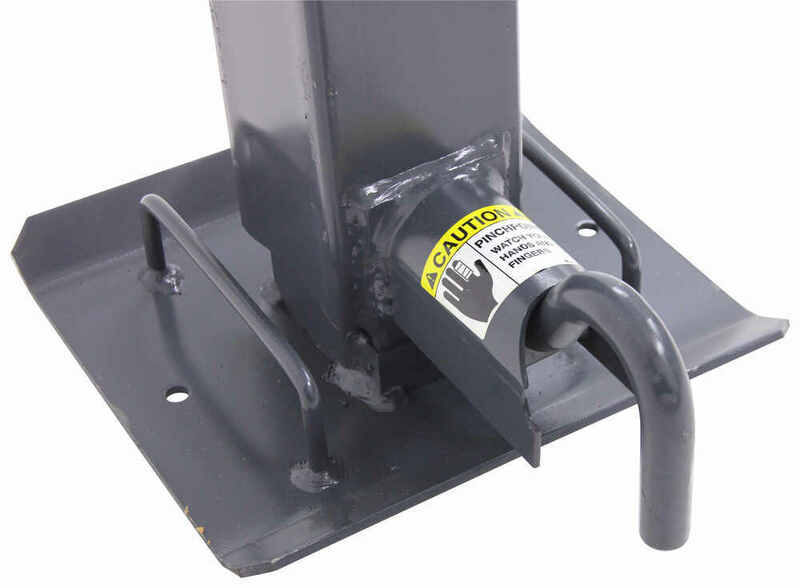 To access the gears inside of the heavy-duty Bulldog jacks, like part # BD182415 to install the # BD500250 you simply remove the screws that are holding on the plate covering the top of the jack. Once that plate is removed, the gears, pins and handle should be exposed. Check out the diagram I attached to see how all of the parts come apart and go back together. The outer tubing width of the Pro Series Jack part # PS1400960376 is 4 inch by 4 inch similar to the Bulldog part # BD182415. These jacks are essentially the exact same as they are both made by the same company and are made to the same specs. The advantage to the Bulldog is the 5 year warranty whereas Pro Series only has a 1 year warranty.